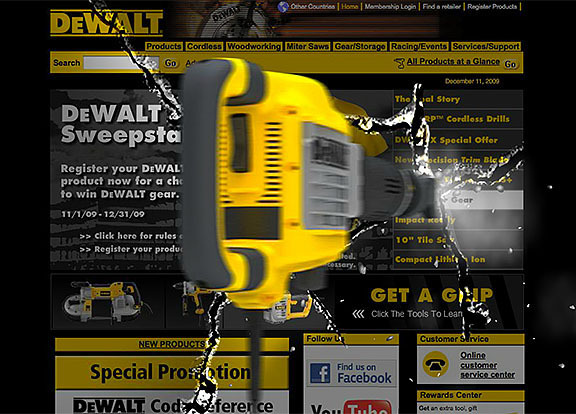 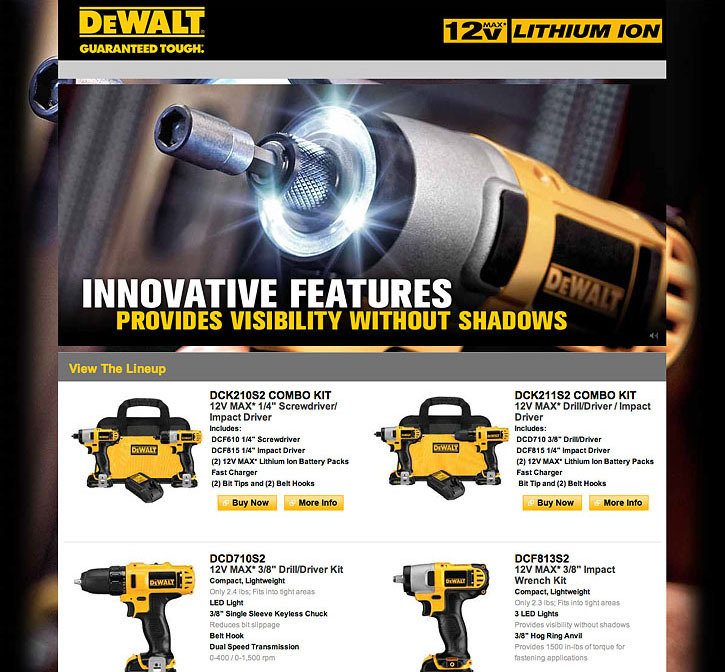 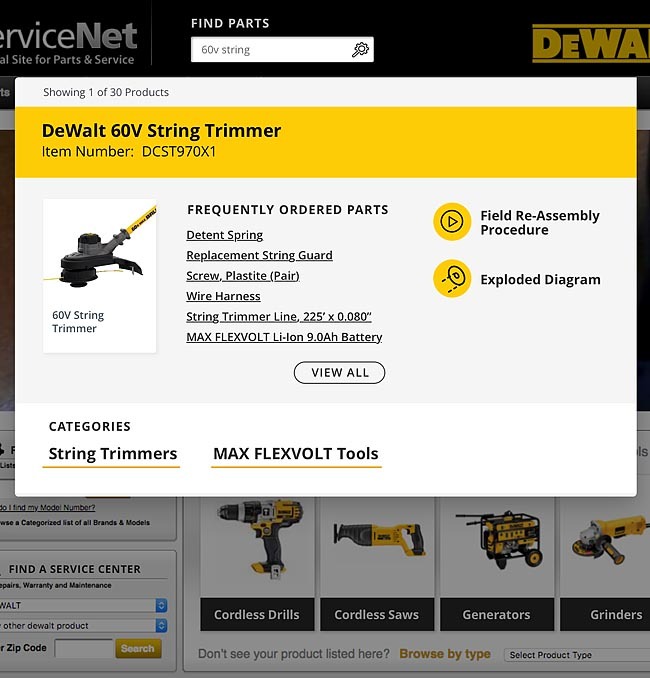 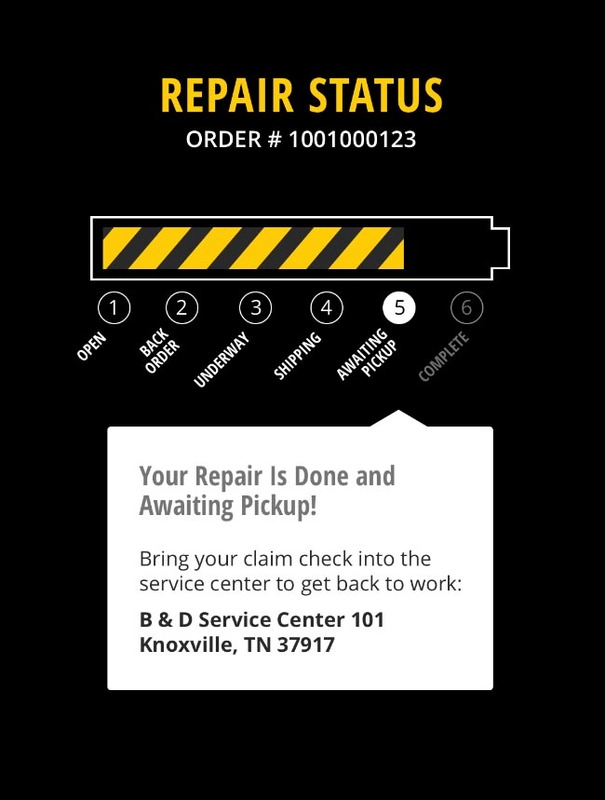 I've worked on a number of online properties to promote and advertise new DeWalt product lines, including interactive features where a user could spin or explode a tool to see what made it uniquely reliable. 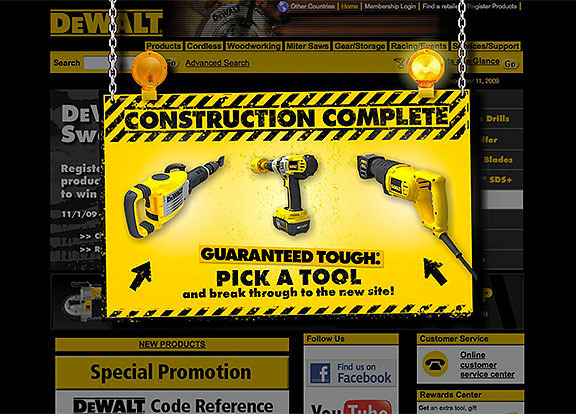 Most of the microsites were supported by branded PPC campaigns to drive traffic. 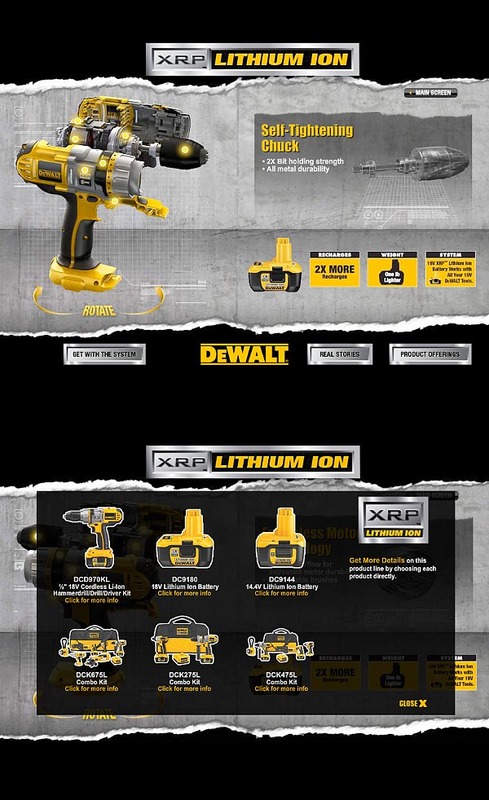 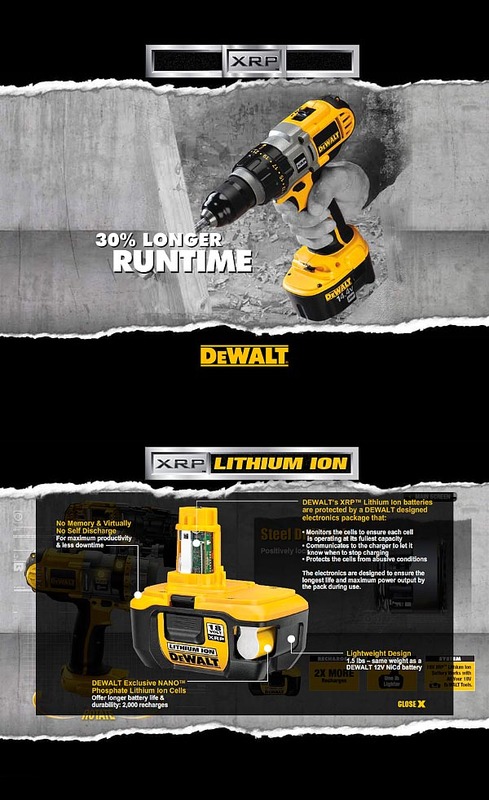 When DeWalt launched their new site, I also worked on an animated overlay where a user could pick a tool and “demolish” the old site to reveal the new site behind it.